This program marks the completion of our annual Ati Rudra Yagya of 14,641 recitations of the ancient and powerful Sri Rudra mantra from the Yajur Veda. In 2019 this yagya will become a standalone event that individuals can sign up for. Details will be confirmed in April. 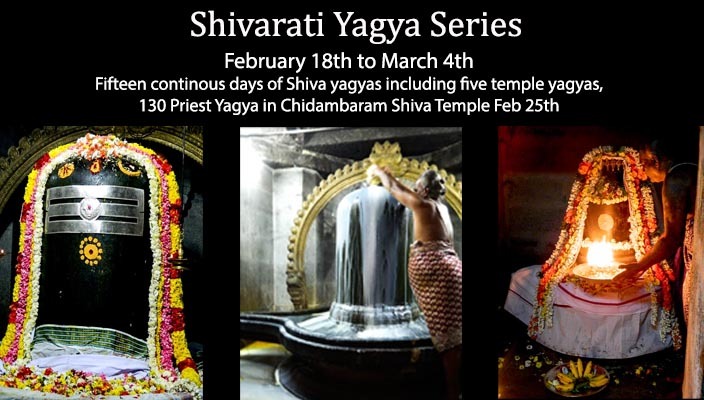 Leading up to Shivaratri, our priests will perform a Maha Rudra fire yagya (havan) with a total of 1,464 recitations of Sri Rudram concluding with an all night program on Shivaratri, March 4th. If you have participated in any of our yagya programs over the past 12 months, you have already been a part of the Ati Rudra yagya series. Participating in this program will bring the Ati Rudra yagya benefits to you. 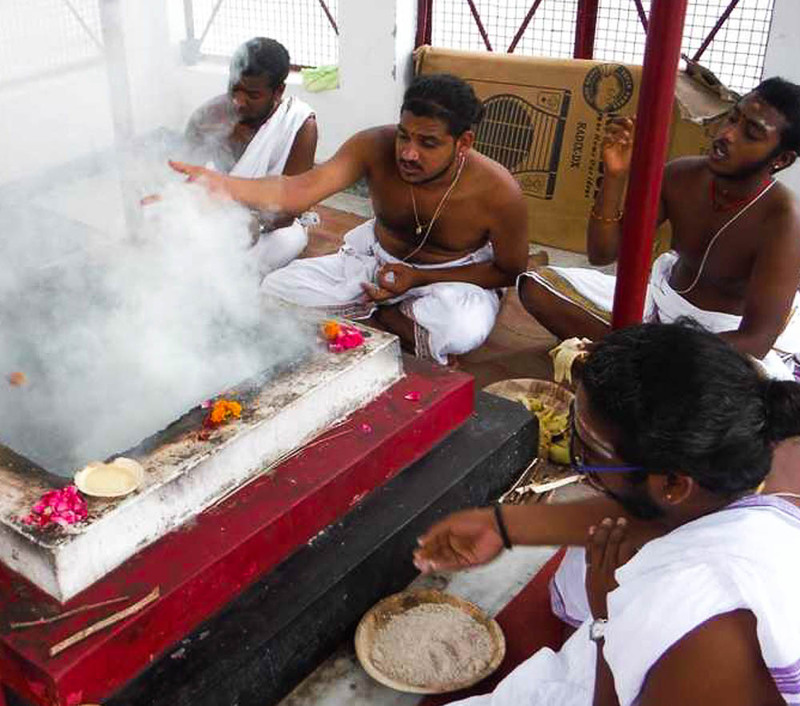 Participants in these yagya programs report that they enjoy a sense of protection from the obstacles and usual ups and downs of daily life. Obstacles seem to be reduced and overall prosperity, abundance and enjoyment of life is increased.These yagyas empower our spiritual practices and significantly accelerate our progress toward enlightenment. They are the core of the vedic spiritual traditions. One payment of $108.00 for the complete February and March program. You will be able to enter names of family members on the payment processing page. We keep the family names on file and you can update them at any time. This is a two part program. Billing discontinues automatically after the March payment. Your participation as a Maha Sponsor includes every group yagya program; 10 Day Yagyas, Daily Yagyas, Foundation Yagyas, all four two Week Yagyas, and the Mystical Yagyas. This subscription is billed at a discounted rate of $200 monthly on an ongoing basis unless you discontinue.